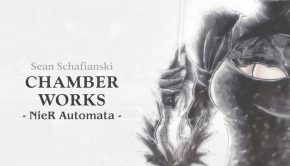 Materia Collective, a fellowship best known for its comprehensive remix of Final Fantasy VII, is no stranger to Undertale, Toby Fox’s satire of and homage to JRPG classics like Earthbound and Shin Megami Tensei. Last year the label released the game’s original soundtrack; it has since organized four additional Undertale projects, including this one. 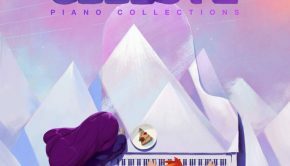 But unlike the grandiose Fallen, a seven-disc tribute, Undertale Piano Collections, arranged by David Peacock and played by Augustine Mayuga Gonzales, opts for minimalism. Just fifteen of Undertale’s 101 tracks were arranged for piano, and the translation from plenty to prudence reveals the fragile beauty in many of Fox’s compositions even as it weakens others. This is not a criticism of Peacock and Gonzales so much as an acknowledgment of the challenge in transposing 16-bit soundfonts to a score for acoustic piano. Heavy metal rock opera of the kind heard in “Megalovania,” “Spear of Justice,” and “Hopes and Dreams” is always and necessarily going to lose some of its pyrotechnics when reduced to a single stately voice, as is the case here. And what is “Bonetrousle” without its heavy slap of synth drums or the violin that gives it an Eastern European flavor? Gonzales does much to replicate the texture of the originals, but sometimes a piano is just a piano. Not that Fox’s compositions don’t benefit from the arrangement. “Alphys,” for example, is transformed from computer carnival music into a slow-tempo tune whose halting introduction suggests the character’s diffidence, making Peacock’s arrangement thematically superior. “Snowy” loses its violin but gains an extended introduction that heightens anticipation of the melody, which arrives in the second minute. Where the original is cold and glassy with reverb, Gonzales’s version is paradoxically warm-sounding, suggesting snowfall, but one viewed through the window of a warm and well-lighted place. And “Uwa!! So Piano,” an amalgamation of Fox’s three “Uwa! !” arrangements, provides an opportunity for radical departure. 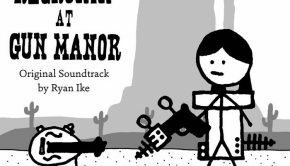 The melody is played more or less straight in the first minute, but thereafter comes a middle passage in a minor key, after which the lilting melody resumes, suggesting a journey like the one undertaken by the game’s protagonist. In fact, departure better describes the purpose — and pleasure — of this album and others like it. Critics inevitably compare cover songs to their originals, but they needn’t pit one against the other. I’m reminded of something the novelist James M. Cain once said when asked how he felt about the movies made from his books. “People tell me, don’t you care what they’ve done to your book? I tell them, they haven’t done anything to my book. It’s right there on the shelf.” Or digital storefront, as the case may be. The point being, you may esteem David Peacock’s take on “Fallen Down,” which has an elegiac quality that captures Undertale’s tonal complexity, its abrupt shifts from whimsy to melancholy. Or you may prefer the woozy Music Hall harmony of the original. But neither one displaces the other. Ultimately, the success of any arrangement comes down to two questions: Does it add a fresh dimension to the original, and how skillfully is it played? 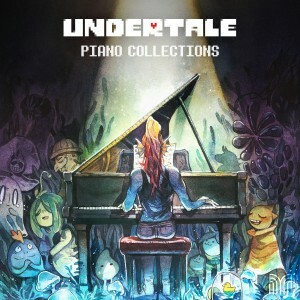 Undertale Piano Collections satisfies both with aplomb. Gonzales plays with consummate skill, his hands seeming sometimes to multiply as they work the keyboard. And the music they produce is by turns bombastic, poignant, joyous, and wistful. In Peacock’s hands, Undertale is a paintbox; he’s used it to create his own pictures. I can’t think of higher praise than that. Posted on May 1, 2017 by Michael Hughes. Last modified on May 1, 2017. Michael Hughes Michael Hughes is an instruction librarian and associate professor at Trinity University in San Antonio, Texas. 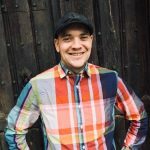 His research interests include game cultures, player-generated content, and media fandom generally. Michael's writing can be found in scholarly journals and here at VGMO.